We’d love your help. Let us know what’s wrong with this preview of 666 by Peter Abrahams. This anthology brings together the best of today's horror writers in one spine-tingling collection. All of these stories are guaranteed to terrify! To ask other readers questions about 666, please sign up. are they good ones..... or? The anthology opens with one of the worst stories it features. The prose was awful; there were a bunch of sentences that made no grammatical sense, and it was very, very choppy. The story wasn't much better; it was odd and confusing. (Get used to that; odd, confusing stories are one of the most prominent problems in the book.) I will admit this, though: there were some parts that were genuinely suspenseful. Actually, there was one scene, in which the main character tried to stop herself from getting tortured, that gave the most suspense I felt in the entire book. And it did have a good premise. It just didn't do much that was good with it. While significantly better than the last one, this wasn't great. The prose was good. It could be awkward sometimes, but it was normally passable. And I LOVED the ending. It was genuinely surprising, and exactly the kind of thing that a story like this needed. The main problem, however, is that a lot of the character interaction was unfocused. Characters changed subjects way too frequently, which made it hard to get a real sense of tension from it. This actually ruined the story. (Well that, and the awkwardness in the prose). It took a great premise and story and sucked all of the tension out of it. What a waste of potential; one more re-write, and it could've been great. Easily the best so far, and the best for a while. The prose was good, although it was often flat and uninteresting. Additionally, the ending was confusing and nonsensical. However the first 25 pages (yes, 25. This is by far the longest story in the book) were so amazing that I could let it go. This was mainly created by the story's great handling of beauty, jealously, rivalry, ect. The paranormal elements that came in the end were almost unnecessary; I would've been perfectly fine if this was a realistic story. I also liked that the characters were developed. In a story this long, it would've felt weird if the characters were flat and boring, the way they might've been in a shorter story. Fortunetly, that's not a problem; I felt like I knew Jill and Jane quite well. It also had a great premise, and unlike The Legend of Anna Barton, it didn't fall flat. The last five pages weren't great, but everything before it was amazing. All that day we searched for our little sister, and all that week, and all that month and year we would search for our little sister; and never would we abandon our search for her, for the remainder of our troubled lives. Had cruel fairies carried her off into the Underworld? Had a wild beast made its way through an open window as we slept, and borne her away into the woods, in his jaws? Or had our little sister simply vanished, as dew sparkling like gems will vanish on the grass with the inexorable rising of the sun, transforming the comfort of night into the starkness of day. No, really, it actually says that. There's so much wrong with this, I don't even know where to being. This doesn't sound like it belongs in a serious story - it sounds like it's from a parody of one. Not to mention the overly-purple language, the unnecessary and confusing metaphors, and an annoying religiousness that doesn't fit the story at all. This is truly awful prose, some of the worst I'd ever read. And the other elements aren't better. Due to the prose being confusing and annoying, I didn't understand a good bit of the plot. Actually, beyond the narrator's sister disappearing, I didn't understand ANY of the plot. I had no idea what was going on. From what I could tell, the premise was also really, really dump and stupid and pointless. The overall effect? The story wasn't even slightly scary or creepy. It was just pointless. In short, I have no idea what this is, what it's doing in this anthology, or why anyone would show this to anyone without a MAJOR re-write. This one had a lot of potential that was ruined by the ambiguity of the prose and the plot. The first half was actually really good, but it didn't really build up to anything that made sense. You could actually pinpoint the specific point in the story where the editor just said, "Screw this, I'm out of here." The second half of the story had awkward prose and a confusing story. It's too bad - the first half of the story has a lot of tension and suspense, and a very interesting look at relationships. But the ending ruined everything. This one was a lot better than the last couple were. The prose was sometimes a little awkward, but it normally worked. I also loved that the high school felt realistic, apart from the invention of 'slam books' for this universe. (Unless slam books are real things that I just haven't heard of.) However, this was the only story here that I felt like it should've been something more. It had an amazing premise, (everything Anna writes in the slam book she made comes true, even if it's an exaggeration), but it didn't feel fully developed; magic solved all of Anna's problems. I felt like if this were a whole novel, Anna would've got some consequences for using the slam book (both positive and negative), and we would've learned more about her and why people hate her. This wasn't a bad story (I rated it 4 stars, after all) - it was just an underdeveloped one. This was my second favorite story in the book. (We'll get to my favorite in a bit.) The narrator had a nice, believable voice that never felt awkward. I also really loved the premise that showed off not only Williamson's ability to be scary, but an interesting perspective on relationships. It also showed off his amazing ability to avoid the cliches of a dying protagonist. (The narrator's girlfriend is dying in this story.) I don't have any major complaints about the story - it was one of the best. This one wasn't bad, but it didn't make a really big impression on me, either. This is probably because the story felt pointless and unexplained. (Getting sick of hearing that yet?) It had pretty good prose, and a good premise, but it felt underdeveloped, underedited, and confusing. Amelia Atwater-Rhodes was the only author I was familiar with going into this anthology. That being said, I'm not particularly surprised that her story is my favorite of all the stories here. First off, the writing was amazing. Which it always is, when Atwater-Rhodes is writing, but compared to the rest of the book, it felt very mature and polished. I also loved the application of shapeshifters into the real world. The main character is a hyena shapeshifter, and everyone thinks he's an insane person and a compulsive liar for saying so. I also loved the characters. One of Atwater-Rhodes's talents is creating a very meaningful arc for characters in a short amount of time, and this is on display here. I wish the story had been a bit more explained, but other than that, it was perfect. I've been told that a couple of the characters in this story reappear in Persistence of Memory. I can't wait. EDIT: Alright, I read Persistence of Memory. And, I have to say, this story was a lot better. I was really disappointed in the book. This probably would've been a 4 if I hadn't read it right after Empire of Dirt. After all, the writing was pretty good. But the characters, the world, the story... EVERYTHING felt underdeveloped compared to the last book. And the story was slightly confusing. In particular, I had no idea what was going on for the first third of the story, and the ending was nonsensical. It was a pretty good premise, and Gee obviously knows how to write, but it just fell flat here due to the lack of development. A lot better than the last one. The writing was great, and it was applied to a good and (gasp) DEVELOPED premise! Because of this, some parts were genuinely scary, in a way that the rest of the book wasn't. I do wish that it had been more meaningful about the relationship between parents and children and between friends. It obviously had the potential to be this. That being said, I think it still worked. The story could've been more explained, but the narrator didn't know any more about the world than I did, so it worked better than in other stories. This one was my third favorite in the book. The writing was great, and so was the premise. Not to mention that the ending was very scary and suspenseful. I do wish it would've made an attempt to be more meaningful about loss and schizophrenia (I spelled that right on the first try! Yay! ), but other than that, it was really, really good. Unfortunetly, the book goes downhill from here. Meh. This one wasn't awful, but nothing about it really stood out. The premise was really weird and stupid - I found it hard to take it seriously. The writing was pretty good, though; it didn't have editing issues, like a lot of the book did. However, the action sequence was confusing and unengaging; it was only the other parts that were well-written. I did, however, like the plot twist that came at the end. Note: This story was later reprinted for The Eternal Kiss 13 Tales of Vampire Blood and Desire. This one was a very cliched paranormal romance, condensed into a short story. Stop me if you've heard this before: a vampire is watching a the lonely teenage heroine sleep every night for a while, but when the girl finds out about this, she doesn't really mind. She falls in love with him in a matter of days, despite them not really interacting very much, and she readily trusts him and offers him blood, even though she doesn't know anything about him. Hmm... where have I heard a similar premise? Oh, that's right, in almost every paranormal romance on the market today, even the ones I like. The story doesn't develop at all beyond that basic premise, and it doesn't do anything unique with it; it has the too-brave heroine and the insta-love, just like any other story. The only good thing about it was the prose, which worked, even if it was a bit underedited. This one had a relatively standard premise that could've been told a bit better. That's not to say that the prose was bad, because it wasn't - it was great. The reason I say that, is because like so many other stories in this book, it's undeveloped. The thing that would've made this story really creepy would've been watching the narrator slowly get more and more obsessed with the ghost that he's seeing. But unfortunetly, we don't see it. And the plot is so predictable, that you have to wonder why not - the story doesn't really have a point otherwise. I did, however, like the accuracy it showed to the time period (the 1700's). Meh. This one wasn't the slightest bit creepy, and a little weird, mostly thanks to its crappy premise. It's mediocre, and awkward prose didn't help. Sure, there was some genuine mystery, but it didn't add very much to my enjoyment. Not to mention that the mystery is somewhat brought out of focus by the story's circular plot and conversations. Overall, one of the worst stories in the book. This was basically "Shelter Island" with a better premise. Despite the non-sensical plot twist at the end, I could've been invested in the story up until then. This is helped by the story's mature prose that never felt underedited, which at this point, was more than good enough for me. But many elements were hard to take seriously. The guy she meets is somehow perfect for her, and although he's nice, the narrator's instant obsession with him is teeth-gratingly annoying. This is what I meant by it being just like "Shelter Island" - the romance was completely unbelievable and kind of cheesy. The narrator is convinced that this guy is the love of her life, despite barely knowing him. Overall, not a bad story, but most certainly not a good one. Like the story's opening, this wasn't a story I was a fan of. The pacing was easily the worst part - the story consisted of seven pages of exposition and only three pages of things actually happening. It felt very unbalanced and weird. The premise wasn't that good to begin with, but the pacing issues - along with the fact that the plot is somewhat unexplained - kind of ruined it for me. The prose was pretty good, but other than that, there's very little to like in this volume. Overall, this was a mixed bag, as most anthologies are wont to be. Some of the stories were creepy and successful, and some... weren't. The middle third of the book was definitely the strongest - it features all of my favorite stories in the book. However, the final third was so consistently horrible that they less than balanced out. Standouts: A Trick of the Light, Empire of Dirt, Imagining Things. The worst: A Little Sacrifice, Grandma Kelley, and Shelter Island. I can't really find a particular reason to recommend or not recommend this book - when I averaged out all my ratings, it came out to exactly three stars. Basically, if you have any authors you like in the story, definitely read it. (Unless you like Joyce Carol Oates. I don't care how much you like her, you will hate her story.) But if not... trust another reviewer. Because I got nothin'. There is alot of different stories (bad ones). They each tell something bad that happened in there lifes. like murder, killing them self and other stuff. My favorite storie was when a girl killed her self for no reason. day : 7.6.09 finished book . This book is about diffrent chapters . Ofcourse is scary . The chapter i enjoyed the chapter called channel 99 , uit was scary because first it was about a girl who was home sick and couldnt go to school because she had a fever so when she would of get over it she would get to go back to school , she couldnt go with her mom to her job because she didnt wanted her to get more sick so she stood home mom said for her to call her if anything relax , watch tv , & eat th day : 7.6.09 finished book . Have you ever had brain fever? You know, when you're sick and you have a temperature and you don't know if you're hallucinating or not? This is what happens to Becky one day as she stays home from school, alone, with a temperature of 101.5 degrees. Her mother couldn't take a personal day off work, so Becky spends the day in bed watching cable television channel 99, what used to be the Mexican soccer channel, by accident. What she sees terrifies her - a realistic, yet, cartoon-like version of herself, Becca, with eyes that aren't quite right and lips that are a little too blue. A man named Malin believes Becca has 'the code' and is trying to get her to give it to him. This is a good story, left this reader wondering if what Becky/Becca experienced was real. Kayla is creeped out by a phone call she receives on the one-hundredth anniversary of the death of Anna Barton, who supposedly haunts Schillington Prep. According to legend, Anna ended up killing herself when she found out that her boyfriend was cheating on her with her best friend and no one would console her. Every twenty-five years following Anna's death someone on campus will die. This story is okay. I liked the ending. Jane, who is plain, wants nothing more than to be like her identical twin sister, Jill, who is a successful model. With help from a gypsy named Arleen, Jane takes over Jill's life, while Jill is left disfigured and ugly, presumed dead. With help from the same gypsy, Jill gets her revenge on Jane, but not in the way she had originally intended. Arleen's motive all along was to help her own sister, Sira. Before she met Arleen, Jill thought her life was not worth living if she could no longer be beautiful. This story isn't just about jealousy and revenge; it is about valuing the life you are given. I really enjoyed this one, great ending. Anna is not very popular at school. Nobody likes her except her best friend Jenny. One day in math class class, Jenny hands Anna a slam book. In it, Anna finds nasty things written about her by the popular kids. She, in turn, writes nasty things about the popular kids so they'll know what it's like to be disliked, only, what Anna writes comes true. People say go into the light when you die, but it's a trick, the light. It fools people. In the light, suffering doesn't end. It goes on forever. The darkness is where you will find true peace in death. Andy knows this. When his girlfriend Kyle goes into the light, he goes in after her intent on helping her find the shadow. In the the light, the truth about Kyle is revealed to him. This is one of the better stories, so far. Isabel goes for a swim in a black, icy lake and nearly drowns. When she emerges from the lake, her boyfriend, her best friend, even her parents, have no idea who she is. For a brief moment, she ceases to exist. Queue Twilight Zone them song. What would you do if you were institutionalized because you were shapeshifter that turned into a hyena when the moon was full, but no one believed you? Apparently, Sylvia was being trained to kill, and that was the Primary Directive all along? The Diagnostic Manual? Rosalita? The donors in 219? Reading this story was like watching a movie with key scenes cut out, very confusing. I saw them for who they were. And so I did what needed to be done. The movie Frailty came to mind while reading this story, if only because the main character was convinced he was ridding the world of evil. That moment when you realize your crazy little brother, who always saw things that weren't real, isn't crazy, and the things he saw were real, and coming after you. So far, this is my favorite story in this anthology, very creepy. Don't you just hate it when you find out the end of the world has begun and it's all your fault? I liked this zombie tale. Hannah befriends a vampire in trouble. His name is Dylan Ward, and he needs her blood. Does she help him? Of course she does! He looks like Johnny Depp. What teen-aged girl wouldn't? Benjamin Thomas heard the story of the Night Flower, the ghost said to haunt the old New Hope cemetery up on Kitchen Hill, eternally mourning her lost love. She's a spirit eater waiting to meet up with a man, to feed on him until she walks away with solid bone and firm flesh, leaving the him in her place. Benjamin, regrettably, thought the story was nonsense. If you spied someone plucking the wings of Faeries you might intervene because that's cruel and Faeries are good, right? Wrong! As time has passed, we have lost the true meaning of the mark of the beast. Even though it is clearly defined as a mark that will be placed upon the right hand or forehead, a number of people throughout history have attached new and even weird meanings to the number 666. 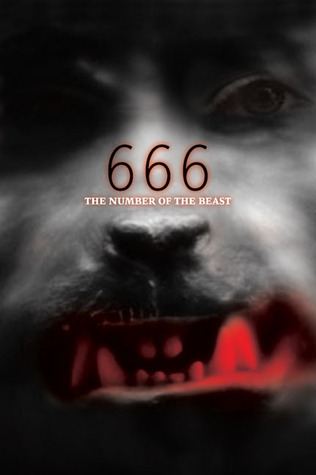 The numb Ever since John, the servant of God, wrote the Book of Revelation and mentioned the number 666, people have been trying to figure out the meaning of the mark of the beast. The number is mentioned in Revelation 13:16-18. As time has passed, we have lost the true meaning of the mark of the beast. Even though it is clearly defined as a mark that will be placed upon the right hand or forehead, a number of people throughout history have attached new and even weird meanings to the number 666. The number has become trivialized by its repeated association with its every random occurrence. Some folks have believed the beast’s number was to be a certain year. Because of this, the year 666 AD was at one time considered the date for the advent of the Antichrist. When that date came and went without incident, many began to anticipate the year 1666 with dread. Like all short story anthologies, it's a mixed bag. Some of the stories are pretty effective, and some are just sort of there. Here's the big problem with the anthology: the editorial direction. Rather, the lack thereof. There's no identified editor on this collection, and it shows. What's the point of this book? The title is 666, but none of the stories have anything at all to do with the number 666, and few enough have anything remotely demonic in them. The stories themselves have no relation Like all short story anthologies, it's a mixed bag. Some of the stories are pretty effective, and some are just sort of there. Apart from one or two stand outs, this book is just . . . okay. Nothing really interesting or scary. I was almost finished with the book before I realized it must be written for older children or teens. That's the only explanation I have for this being so lackluster. In this part of the story of,666 saving face was the one which really grabbed my attention while kimming through them. Jill and Jane are sisters. jill is a model and jane is a teacher. Jane is jealous about jill because her parents will always pay attention to Jill then jane decided to kill jill and take her job and life. Jane wanted to suffer Jill so she cut her face horriblily and sick. Jane dumpe her in he water but a woman who is an expert at herbs treated her and teach her how to avenge her sister. Text to world connection. Some sisters and brothers in the also sometimes think that the parents are more focused on her/him then themselves and felt like they are treated unfairly. This book is awsome..yet some stories are a little boring but still its a great book and it will have its best effects on you when you read it alone in your house, in your room and at night time.. I've tried it once , reading it alone in the dark night and then suddenly there is a startling big noise "BANG" ...it was a errifying experience..for that second i knew iwasn't able too find my breath or voice ..but still when i remember it i always laugh about how horrified i was.. So this is what i exp This book is awsome..yet some stories are a little boring but still its a great book and it will have its best effects on you when you read it alone in your house, in your room and at night time.. I haven't seen many horror anthologies aimed at the YA market, so I thought I'd give this a try. Unfortunately, it's a lackluster collection of stories that are either predictable, forgettable, or both. A generation raised on creepypasta likely won't find much of a scare here. The title is dumb, but it is actually a very interesting collection of short stories by various authors. It is great to read at work as each story takes about 15 to 20 min to read. It was decent. Loved certain stories, hated certain stories, but grammar was totally non-existent with most of these. The editor seemed to edit part of it and then just say, "NOPE," and quit. Some of these were like Wattpad stories (it got that bad at times), but the stories "A Trick of the Light" and "Erased" (there is a bit more but these were my faves) made this book a three-star! I loved Point horror as a kid / tween so this was chosen for nostalgic reasons. It was exactly what I expected for a $6 book of short horror stories by Point, and I find the title '666' hilarious. It entertained me! I liked nearly all of these stories. I think my favorite section was "ghosts". A great book to take camping and read around the fire! Some stories might give you chillls whilst others were too dull to read .. This book if for like novices of the book world! This is a collection of horror stories that are not related to each other whatsoever. Obviously, there are good ones and bad ones, but if you are a huge fan of horror anthologies like me, you're not going to regret reading this. As mentioned here in comment section, "I'd still recommend picking it up as the really good ones make the rest worth it". When I first read this book I was considerably younger and I enjoyed it more maybe because later I realized that this book's target audience is YA (12 This is a collection of horror stories that are not related to each other whatsoever. Obviously, there are good ones and bad ones, but if you are a huge fan of horror anthologies like me, you're not going to regret reading this. As mentioned here in comment section, "I'd still recommend picking it up as the really good ones make the rest worth it". When I first read this book I was considerably younger and I enjoyed it more maybe because later I realized that this book's target audience is YA (12-18). This is definitely not targeted at 20+ (but I didn't mind). interesting concept, but not very skillfully written. This was nice. I like that the author incorporated a native american culture and superstitions into the story, but I have a feeling that I didn't fully understand what the ending was supposed to mean. (view spoiler)[So Marianne wasn't dead? Or she was reincarnated in the body of Rebecca? Or was it Suzie? (hide spoiler)] Maybe I'm just an idiot but I found it a little bit confusing. This story had such an impact on me, that even after so many years, I remembered the gist of the story and practically started to read the book again only because of it. I enjoyed it from the beginning to the end. One of my favorite stories of the book. Another outstanding story. This story is about a girl that after a very cold bath in the lake finds herself in an alternative reality where she simply doesn't exist, never has. Her boyfriend's dating her BFF, her parents don't have any children, she has nowhere to go. And the scariest part? Nobody recognizes her, she has no home, the feeling of being lost and having no place on Earth is strong with this one. I didn't get this story at all. Like, at all. Another amazing story that sent chills down my spine. Very reader-friendly, relatable - the characters do what normal people would do - and as the story unfolds, an ever-lasting terror starts to appear. Very good, chilling story. As always, T.E.D. Klein didn't disappoint me. Dynamic, thrilling, exciting. The story is written in present tense which only adds to the dynamicity. A nice plot twist in the end. Classic gothic vampire romance with a little bit underwhelming ending. Some of these are very good, others aren't worth reading. I'd still recommend picking it up as the really good ones make the rest worth it. Was disappointing from beginning to end. Each story read as a small section of a bigger story. Some of today's top bestselling authors, from Laurie Faria Stolarz to Melissa de la Cruz to Christopher Pike, come together in this bone-chilling, spine-curling collection of dark and dangerous short stories. In Peter Abrahams' story, Becky wishes she had never gotten sick and stayed home. Once she turned on her TV, a certain show becomes all too real. Twins Jane and Jill have been the best of sisters, or at least that is what Jill thought. Turns out her sister isn't so happy with the wonderful life Jill has right now and can't wait to see her drop dead, literally. Soon enough, Jane comes up with the perfect plan to make sure that only one sister is able to lead the perfect life. Christopher Pike takes us on a journey of what being a twin could possibly be like. Robin Wasserman creates Parker Kent, a girl who others don't really like. She finally thought she had made a friend, a best friend, but before she knows it the friend turns on her. It's okay, though, since that friend never liked her in the first place, right? This book is an anthology of fictional chilling stories being grouped together. The book also guarantees that the stories engaged in it will terrorize the readers and keep them on the edge of the seat. But, I did not find the stories on average are terrifying. For instance, pick out the story The little sacrifice. As you see, it is a short story, only four pages long. But as if you read it, you will laugh out of it. There is nothing a bit scary or terrific. Yow will seek nothing in this stor This book is an anthology of fictional chilling stories being grouped together. The book also guarantees that the stories engaged in it will terrorize the readers and keep them on the edge of the seat. But, I did not find the stories on average are terrifying. For instance, pick out the story The little sacrifice. As you see, it is a short story, only four pages long. But as if you read it, you will laugh out of it. There is nothing a bit scary or terrific. Yow will seek nothing in this story except overly-purple language and confusing metaphors. Most of the time when reading a book, especially a book like this that's mostly just cheesy instead of something profoundly literary, I take my enjoyment to be the biggest factor in what I should rate a book. But some of these short stories were so bad that I didn't even love them for being bad. There's a difference between bad horror movies and bad horror stories/novels, because at least with a bad horror movie you get to see the blood while bad actors are stumbling over clunky dialogue. Not to say all of these were bad. I mean, Christopher Pike's never going to be bad, he's just wonderful at the cheesy 'bad' horror novels in a way that makes them still enjoyable and still readable and has some images stick in your head for years after reading them. But most of them were just bad. Saving Face by Christopher Pike was entirely believable, and that's scary. I liked it. Scapegoat by Robin Wasserman was also crazily believable, and completely heartbreaking. Loved it. Imagining Things by T.E.D. Klein was creepy, but somewhat enjoyable. Shelter Island by Melissa De La Cruz was soopah cute, with all that romance included. Haunted by Ellen Schriber was surprising and adorable. Loved it. Ended very well. Wolfsbane by Sarah Hines Stephens was surprising and pretty cool...Not the best end, but it was really funny. It was an ok book. the stories are pretty uneven as happens quite a bit in collections. I'm assuming it's a YA title as it is published by Point but I noticed that quite a few of them were written by writers of the adult genres. On a sidebar, growing up I really liked Christopher Pike but as I got older his writing struck me as really forced, like an adult trying to sound like a teenager. Quite a few of them really caught my attention and made me wish that they were longer stories so that i co It was an ok book. the stories are pretty uneven as happens quite a bit in collections. I'm assuming it's a YA title as it is published by Point but I noticed that quite a few of them were written by writers of the adult genres. On a sidebar, growing up I really liked Christopher Pike but as I got older his writing struck me as really forced, like an adult trying to sound like a teenager. This book had many different short stories, involving many different supernatural creatures and things. They involve werewolves, vampires, ghosts and a lot of others. I didnt like this book as much as i expected. It is often have a cliff hanger ending. There wasnt much action, so it wasnt such a great book. The language was very easy to understand. I think that this book was pretty interesting even though some stories didnt appeal to me. The stories didnt seem that real because since the story w This book had many different short stories, involving many different supernatural creatures and things. They involve werewolves, vampires, ghosts and a lot of others. I originally got this book to read just one person: Laurie Faria Stolarz (really like her). However, I read the entire slew of short stories and was creeped/freaked out with each one...you really gotta read this. It didn't give me nightmares because I just don't have dreams about horror books/films (lucky), but I was genuinely freaked out with some of the stories especially when you think you're spirit's supposed to go towards the light, but that's the worst thing you can do to yourself...WHOA!! I originally got this book to read just one person: Laurie Faria Stolarz (really like her). However, I read the entire slew of short stories and was creeped/freaked out with each one...you really gotta read this. It didn't give me nightmares because I just don't have dreams about horror books/films (lucky), but I was genuinely freaked out with some of the stories especially when you think you're spirit's supposed to go towards the light, but that's the worst thing you can do to yourself...WHOA!!!! I started reading it fom empire of dirt by amelia atwater and thought it was interestnig the story of sassy. I dont understand why the book is considered to be under amelia atwaters name. Although i do love her books it is unfair to think that she was the one who wrote this book when 17 other extraordinary authors were included. Loved many of the short stories, especially scapegoat, imagining things and shelter island! Cant wait to finish the book! Peter Abrahams is the author of numerous novels, including End of Story, Oblivion, and Lights Out, which was nominated for an Edgar best novel award. He also writes the best-selling Echo Falls series for younger readers. He lives on Cape Cod. Peter Abrahams is also writing under the pseudonym Spencer Quinn (Chet Librarian Note: There is more than one author in the GoodReads database with this name. Peter Abrahams is also writing under the pseudonym Spencer Quinn (Chet and Bernie Mysteries).